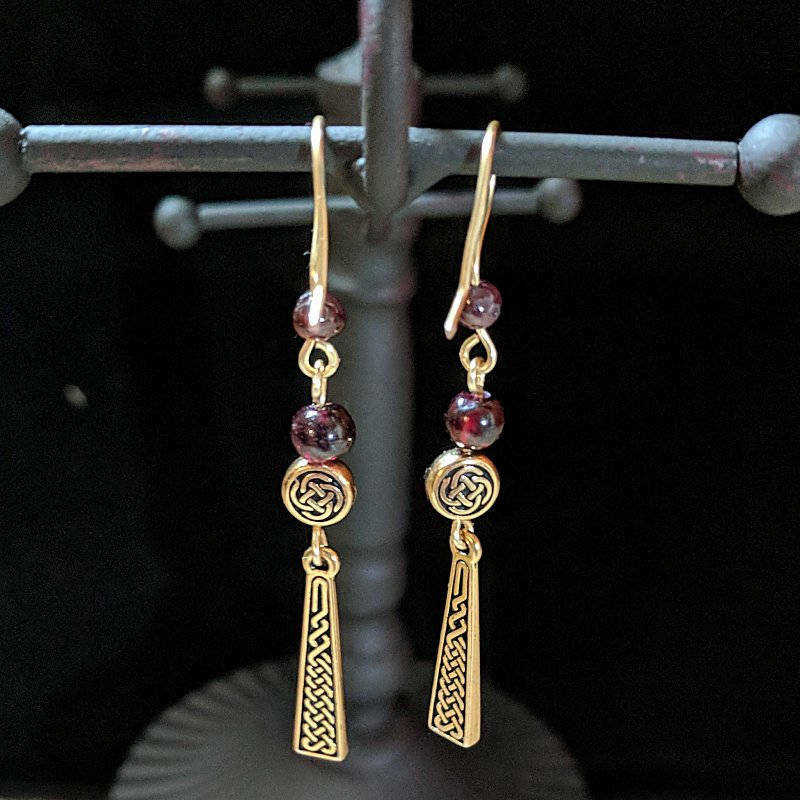 A unique pair of pendant earrings made with a 25x6mm trapezoid knotwork dangle and a matching 7mm Celtic knotwork coin bead, embellished with genuine garnet gemstone beads. 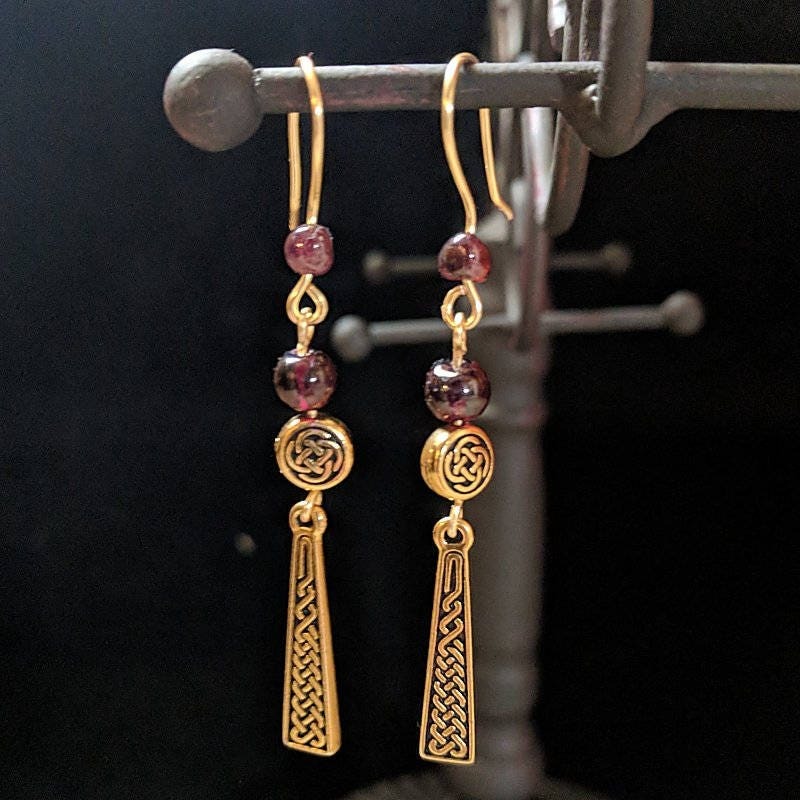 The pendant measures 42mm or 1 5/8" making the overall length of the earrings 65mm or 2 1/2" including the handmade earwire which has another a garnet bead. A perfect way to say "Happy St. Patrick's Day" and then wear all year round! 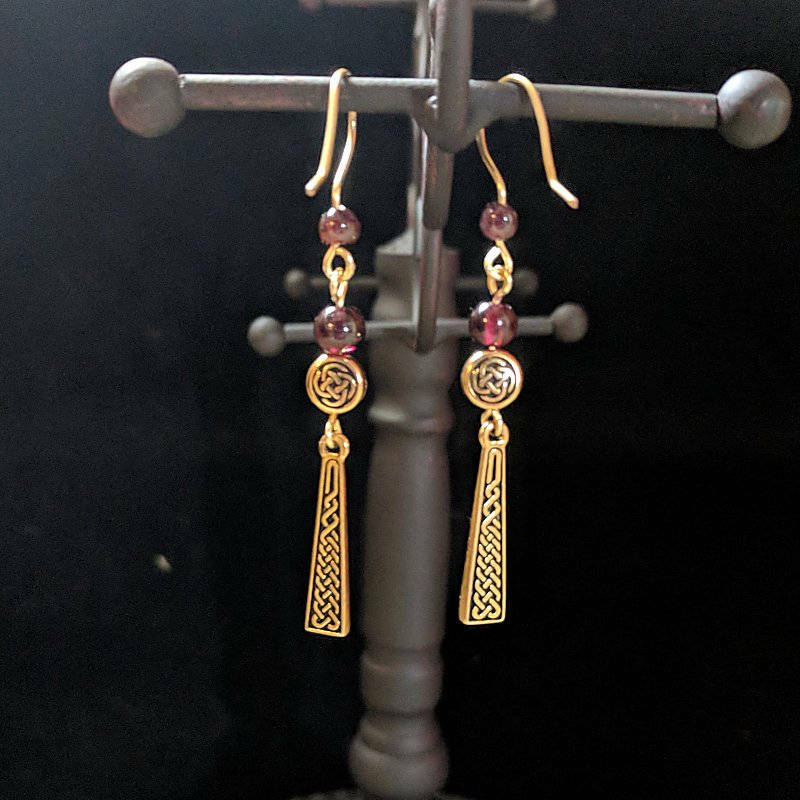 Convo us if you would like another gemstone and we will make a custom pair especially for you, if the beads are available. 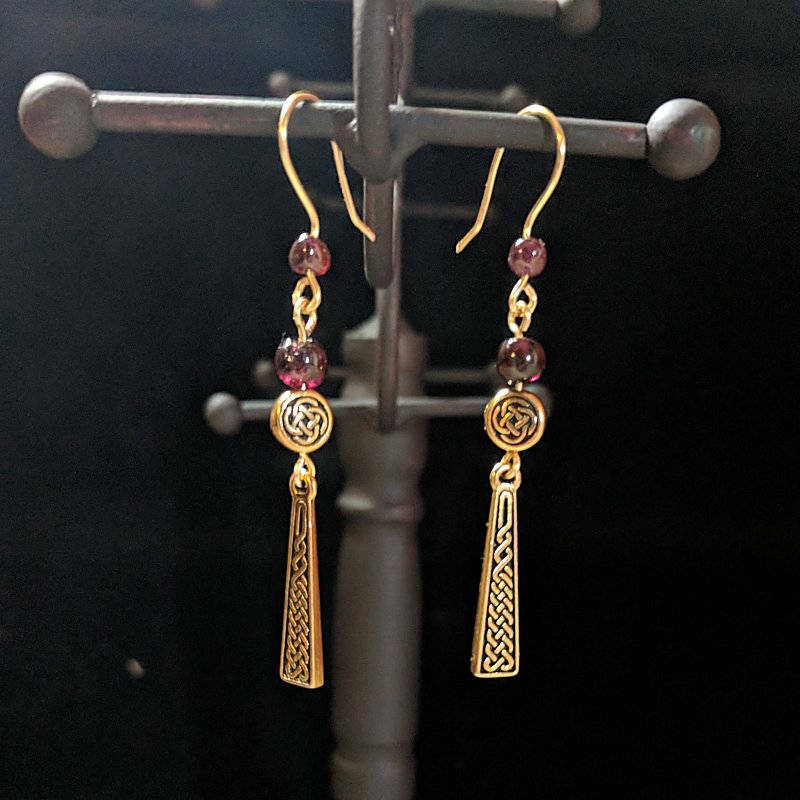 Garnet Gemstones - Worn to enhance strength, endurance and vigor when exerting oneself. Historically, it was used to to drive off demons and night phantoms. It was believed to protect travelers and guard the health. Today, it is believed to provide a positive shield against negative energy. Offers self-worth and assistance when walking the spiritual path. Supports the healing of physical issues rooted in emotional wounds.